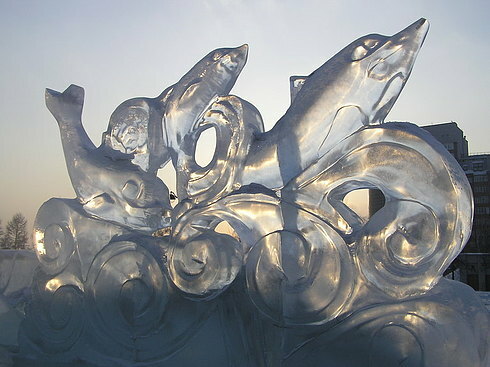 There are several grades of ice that can be used for sculpture. Crystal clear ice is made with more water circulating during the process and better quality water. A large ice sculpture can range anywhere from 6 to 30 feet tall. Large ice sculptures can weigh anywhere from 500 to 50,000 pounds. Conclusion: A large ice sculpture weighs more than me. This entry was posted in Uncategorized on January 9, 2010 by fatchicksings.